You are currently browsing the tag archive for the ‘Halloween at Tama Center’ tag. Do you want a spooktacular Halloween? Halloween has transplanted well as a festival into Japan, probably extending Japan’s own summer’s customs of chilling Kwaidan spooks and all. Why Halloween has caught on perhaps is because … Halloween is more colourful and cuter. Local Halloween festivities are BIGGEST in Kawasaki city, going on for days with the parade being THE thing to watch out for on the news if not in person. Tama Center’s festivities are a close second, with the Jack o’ Lantern showing worth taking a look. 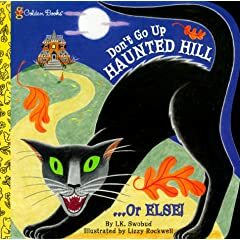 This week, at home we read “Don’t Go Up Haunted Hill…Or Else!” which is a good read-on-your-own book or read a loud to your kids book for the kindy to early elementary set. A short non-scary, trick-or-treating story with humour and a twist at the end (only costs about 700 yen from Yurindo stores). Scroll down to the bottom of the page for recommended reads. Disneyland’s probably a better place now to visit during Halloween with its new Haunted House attraction added to the theme park. 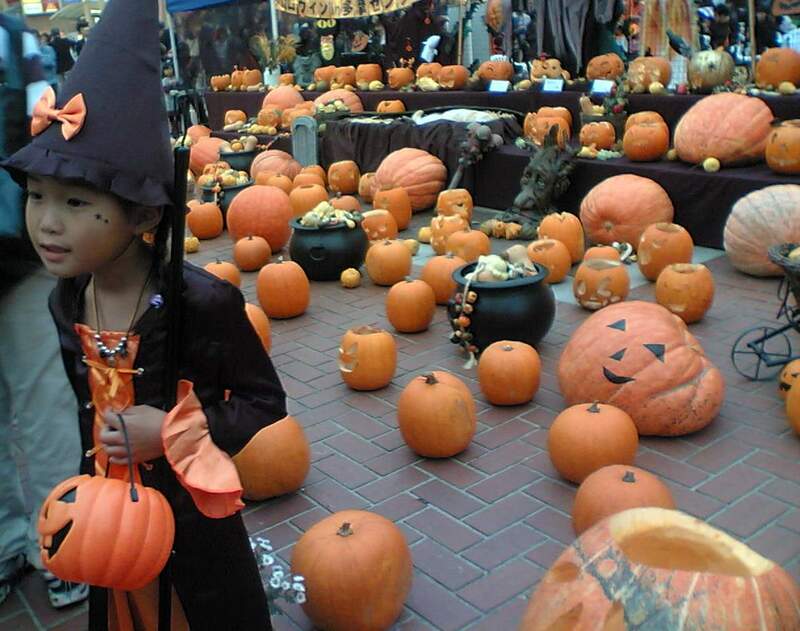 Events include trick-or-treating, Halloween parade, Jack O’Lantern night, and more. Roppongi Hills Halloween Parade Location: Roppongi Hills Roppongi Minato-ku, Tokyo. Enjoy the Halloween parade and performances. Time: 11 a. m. – 6 p.m.
Lots of kids participate in this Halloween parade every year. The biggest event is the Halloween parade held on October 26. People put on Halloween costume and gather in the shopping street. Hakkeijima Paradise Halloween Hakkeijima Sea Paradise is filled with Halloween decorations and events from October 1 to 31. Don’t miss the Halloween special entertainment at the Dolphin Fantasy, one of the aquariums. Halloween Festa in Misawa A U.S. Air Base is located in Misawa City, Aomori Prefecture, and there are about 5,200 U.S. military personnel assigned to the base. For the reason, a fun Halloween event is held every year in Misawa. Usually, it includes a Halloween custume contest and a Halloween parade. It takes on Oct. 18, 2008. Come and enjoy this event featuring A “Halloween Costume Stamp Rally”, face painting and more! Eligibility: People who dress up in a Halloween costume or who have face painting. *Not cancelled in case of light rain. Iwasaki Museum and Yokohama Doll Museum (5-20 min walk from JR Ishikawacho Stn or Motomachi- Chukagai Stn of Minatomirai Line). Those who say “Trick or Treat” will receive a treat. Puto’s Halloween Party Various Halloween events are held from September 13 to November 3, 2008 at Suzuka Circuit in Suzuka-city, Mie. Also, similar events are held from Oct. 1 to 31 at Twin Ring Motegi in Motegi-town, Tochigi. Universal Wonder Halloween The event is held from September 9 to November 3, 2008 at Universal Studios Japan in Osaka. And of course, one of the best kiddy events has got to be Disney’s Halloween This special event is held from September 12 to October 31, 2008 at Tokyo Disneyland. Guests are allowed to enter the park, being dressed up as disney characters during this time. Don’t Go Up Haunted Hill … Or Else! 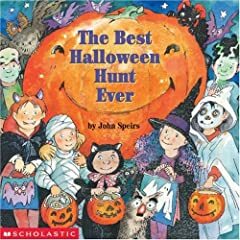 At school, in the pumpkin patch, and and all around the town are hidden pumpkins, spiders, and bats for the reader to find, as well as two mazes to go through. 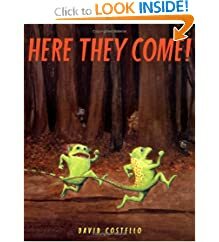 Bright, energetic illustrations of some of the friendliest monsters you’ll ever meet, along with amusing and descriptive rhyming text, make this one party you won’t want to miss. Mommy monster tells her little monsters about all the fun they will have and the great treat they can expect at the annual Halloween party. Everyone who is anyone will be there, from giant trolls and little woodland sprites to hopping hobgoblins and an ogre bearing a plate of cinnamon rolls. And the great, scary treat Mommy told them about, what could it be? Why children, of course, on their way to trick or treat! Trickety-treat! Black clouds, run away! Their big, round (green, purple, and chartreuse) faces and toothy smiles are anything but scary, and their Halloween festivities involving pumpkin ice cream with slimy green cake, musical broomsticks, and pin-the-tail-on-the-newt make for a fun-to-read book that might just be read more than you’d think—to put it mildly (our Halloween books stay on the shelves all year ’round because the children love reading them!). 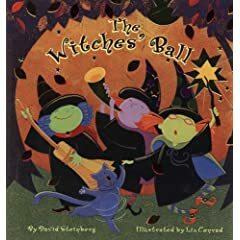 This sturdy, colorful, and rambunctious book gets you in the Halloween spirit from the very first words and pictures. This book will satisfy your curious ones on the origins of this harvest holiday. Did you know it was originally called Samhain? Samhain means “the end of summer”. The book reveals what the ancient people to celebrate this holiday and how the ideas about it have changed over the years and that Halloween has really become wildly popular in the U.S. only over the last 100 years. Find out in this book why ghosts and skeletons, jack-o’-lanterns and vampires are associated with October 31 of each year. Halloween shows you lots of neat stuff you can do, either by yourself or at a party…recipes and tricks and such.